In the last of our three free articles this week we present a great high fantasy scenario and play sheets for DarkeStorme the Skirmish. 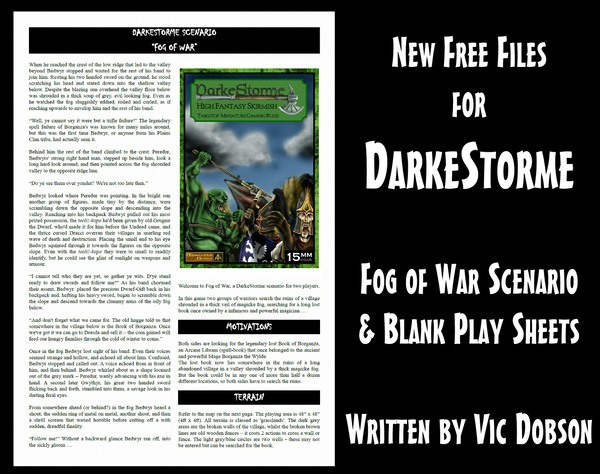 Written by Vic Dobson the scenario 'Fog of War' can be played in 28mm or 15mm scales. Click through to learn more and to download it. Our 'Spring Clean' event is on just now meaning 10% off 170 recent releases and this includes some of our 28mm Terrain pieces such as the new Crates and Boxes, Beer Barrels and Discarded Kitchen. Ends 9am GMT 11th March 2019. Badger Games Headed to Gary Con 2019! If you are a serious Role-Play gamer and have not yet made the pilgrimage to Lake Geneva, then you have an unchecked item on your bucket list. Lake Geneva is where it all began. It is the Gen in Gencon and the home of Gary Gygax. Gary Con is a now 11 year tribute to Gary. Gary Con is a gamers convention. There are few locations better than the Victorian era Grand Geneva hostel. And, you will unlikely find a Con with a more solid group of veteran gamers nor have the chance to hobnob with legends in the gaming community! Badger Games is again attending Gary Con. We will have the classic Otherworld D&D lines. 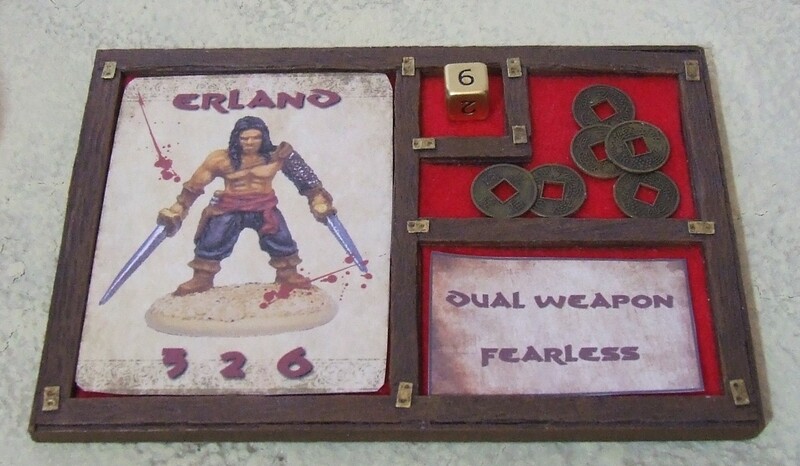 We will have the complete re-release of the classic Grenadier Dungeon Lords from Mirliton in Italy. 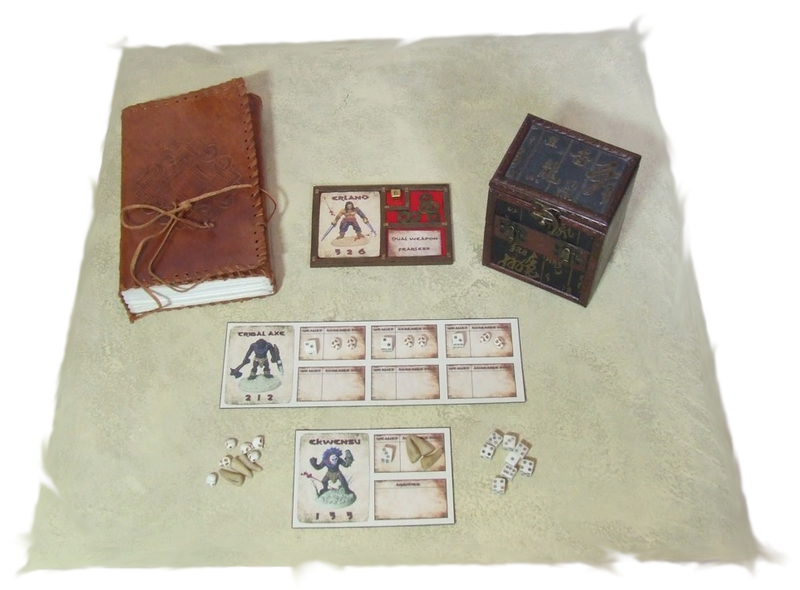 We will have some of the classic early Citadel sets recently re-released by Foundry as well as the single greatest modern take on merged fantasy role-play and wargaming… Northstar’s Frostgrave. This is only a portion of what we will have at our booth, so why not stop by and say hello and see what the Badger has for you! This is a Fire Giant, it stands approx 90mm, feet to top of head. The model comes with two different heads (with and without helmet), and you can optionally attach the two handed sword to his back, this means that with just the one STL file you can print several different giants by simply swapping the heads and weapons and accessories. The models are designed for 25-28mm scale gaming, but can of course be used in just about any scale. The model is supplied in 11 parts, all are keyed to fit together, apart from the Hammer, Two Handed Sword and shield which are fitted as required. 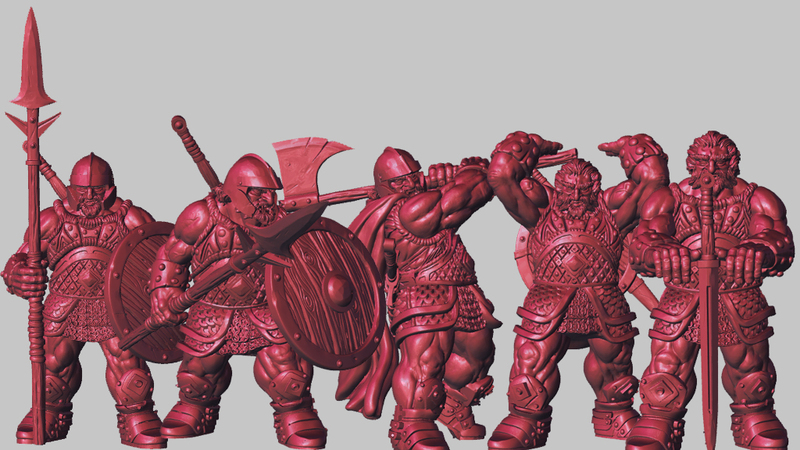 This bundle includes all five Fire Giants poses in one massive download. 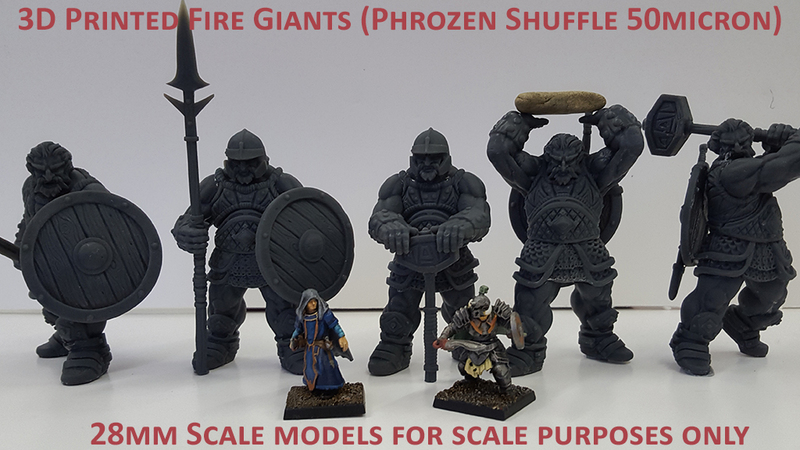 Each giant has two head options – giving you double the variants, additionally several of the giants come with different weapons and accessories giving you even more variety in your printed models. 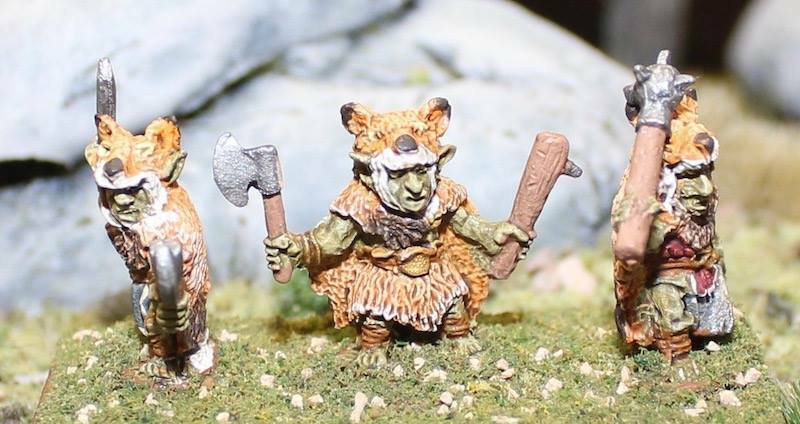 Beginning on February 18, 2019, at 6:00 PM Eastern Standard Time, Splintered Light Miniatures will be launching our second Kickstarter--28mm Lesser Goblins. 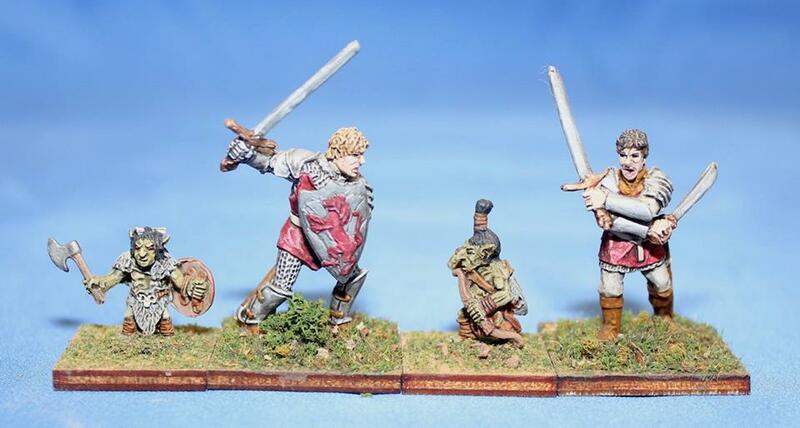 These were sculpted by Bob Olley and have been available for a few years but given their size and thickness, they really work best with 28mm. They will be perfect as monsters to swarm your adventurers or as cheap fodder in goblinoid armies. There will be various pledge levels and an early bird gift for those pledging at certain levels in the first 24 hours.